A rich American art student is found dead at the bottom of a well in an ancient hilltop castle. 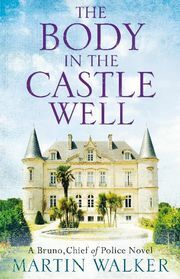 The young woman, Claudia, had been working in the archives of an eminent French art historian at his art-filled chateau. As Claudia's grieving mother arrives in St Denis and her family's White House connections get the US Embassy and the FBI involved, Bruno tries to trace the people and events that led to her death - or was it murder? The 12th case for Bruno, chief of police.